David Bowie - Illustrated db Discography > David Gilmour feat. 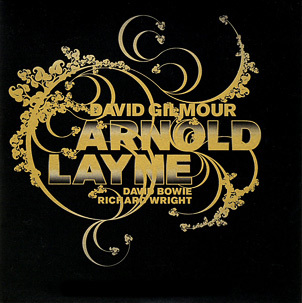 David Bowie: Arnold Layne 10"
Released in 10" format only in the US; available in Europe on 7" (EMI EM 717) and CD-single (EMI CDEM 717). This duet was recorded live in London, Royal Albert Hall, 29-05-06.